My Mercatus Center colleague Jason Fichtner recently testified before a Congressional hearing about Social Security finances. 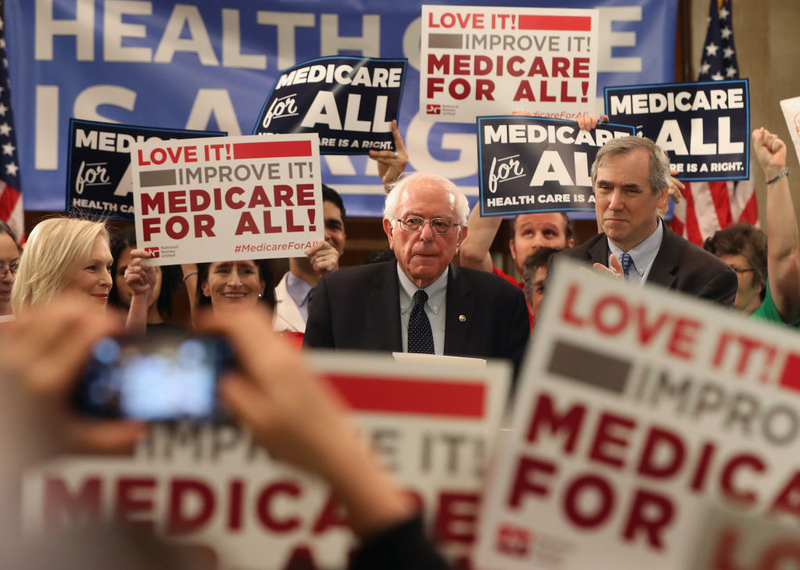 There he was pressed on whether projections of Social Security insolvency in the mid-2030s simply looked too far out to be treated with confidence or immediate concern. Dr. Fichtner’s answer explained the very high level of certainty in the insolvency projection even if future economic variables differ markedly from current assumptions. This question -- whether we can afford significant further delay in righting Social Security’s finances -- is a very common and important one, worthy of further exploration. The answer is that we cannot afford continued postponement, and it’s important to understand why. 2) Even if it would happen, we have several years yet to deal with it. Unfortunately, both of these reflexive suppositions are dangerously incorrect. Before explaining why, let’s briefly mention and put aside the fact that the 2034 date is actually a somewhat mythical construct because it refers to theoretical combined Social Security trust funds. 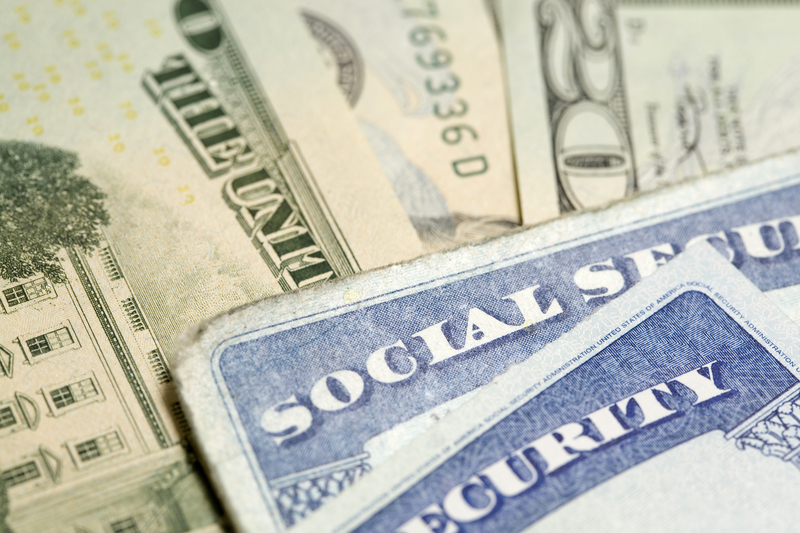 Social Security actually has two trust funds, the Old-Age and Survivors Insurance (OASI) Trust Fund, and the Disability Insurance (DI) Trust Fund. By law they must each be separately solvent to permit benefit payments. The DI fund is actually projected to be depleted in 2023. However, even if we pretend that the funds are combined and that the insolvency date isn’t until 2034, we still have far less time than that to act. 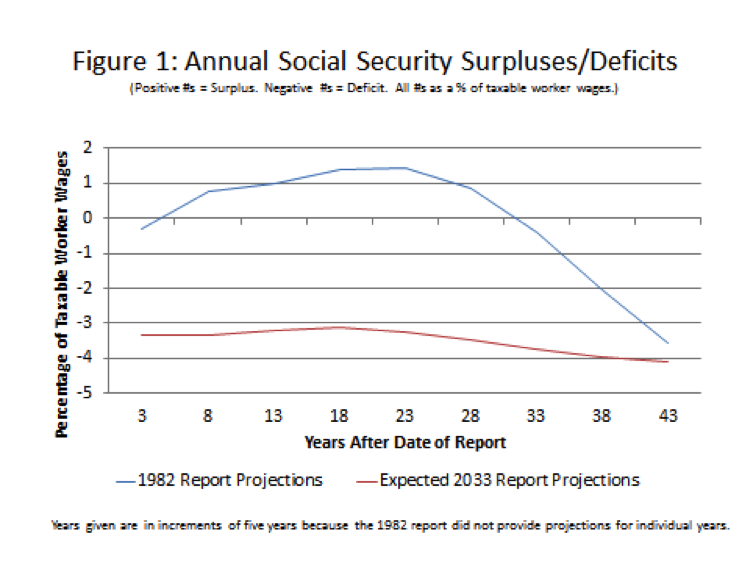 A key first point: Social Security’s projected financing shortfall is indeed quite certain. The vast majority of the shortfall is a function of events that have already occurred. Hence it will still be there even if our future economic and demographic projections are far off. The trustees’ intermediate projection for combined trust fund depletion is 2034; it is only as likely (10%) that it would be postponed until 2040 as it would move forward to 2031. Both the Congressional Budget Office and a recent Social Security Advisory Board Technical Panel predict earlier insolvency than the trustees (2029 and 2033, respectively). 2) Even if we somehow were able to close it at that time, it would not be possible to do so in a manner permitting the program to benefit future generations. On the first reason: by the time 2034 approaches, the shortfall will be so large that closing it would require dramatic measures for which there is no historical precedent. Already today in 2016, the financing shortfall is substantially larger than the one closed in the landmark bipartisan 1983 rescue. 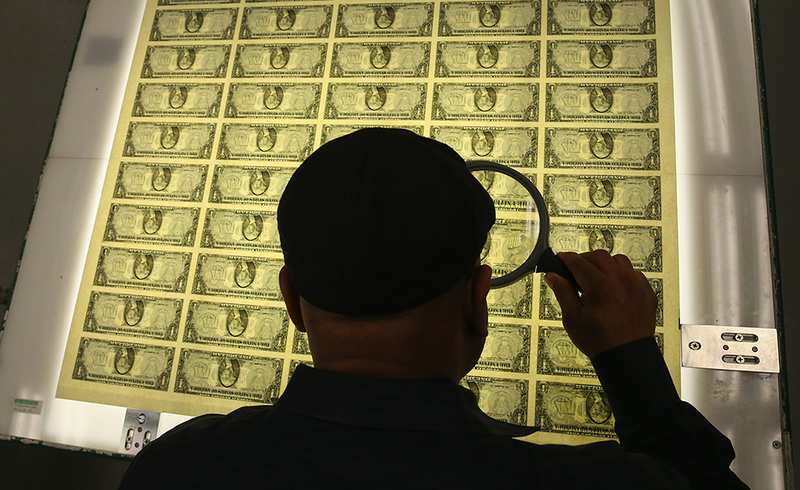 By the early 2030s, it will be so much larger that Social Security’s historical financing methods could not feasibly be maintained. As Figure 1 shows, in 1982 we were looking at small near-term deficits followed by substantial surpluses, followed by a large long-term deficit. By 2033 we will instead be looking at huge, immediate and permanent deficits. To maintain solvency in 1983, legislators just had to make enough changes to get past the near-term deficits, leaving more significant adjustments to take effect gradually over the long term. Yet even to do this they still had to delay COLAs by six months, subject benefits to income taxation for the first time, expose new federal employees’ wages to the payroll tax, raise the age of eligibility, and accelerate a previously-enacted payroll tax increase. These changes were intensely controversial and nearly didn’t happen. By contrast, financing corrections postponed from today until the early 2030s would need to take effect virtually immediately and be several times as painful, rendering enactment highly implausible. It would be far likelier then that legislators would resort to subsidizing Social Security from the government’s general fund. 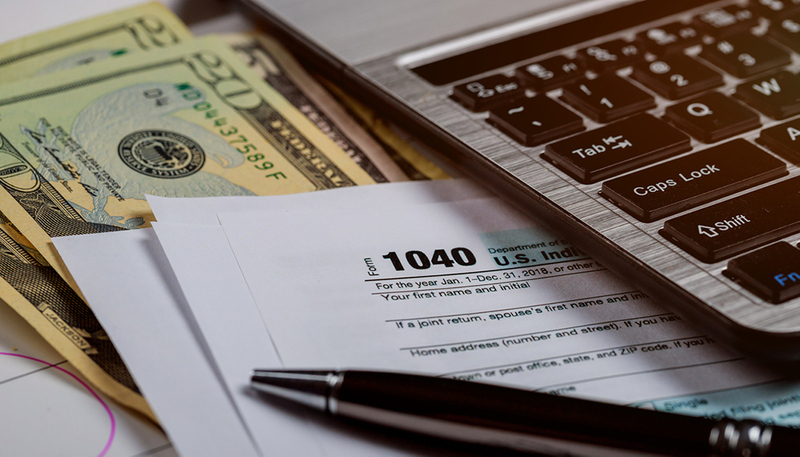 This would end longstanding arrangements through which Social Security has enjoyed unique popular support because it is perceived as a separate, self-financing program of benefits workers have earned with their payroll taxes. The body politic is certainly well within its rights to abandon Social Security’s earned-benefit framework and convert the program into one financed largely from the general government fund. But this should be a willful choice that society makes with its eyes open, cognizant of the upsides and the downsides. It should not be something that happens solely because procrastination has eliminated other options society might have preferred. Even if legislation could be enacted as late as the 2030s to sustain Social Security finances, it could not permit the program to work to the net benefit of future generations. The reason for this is closely related to the reasons for the shortfall’s certainty; the shortfall mainly derives from the treatment of people already in the system today. Specifically: Social Security has a shortfall primarily because its benefits far exceed taxes collected for current participants. 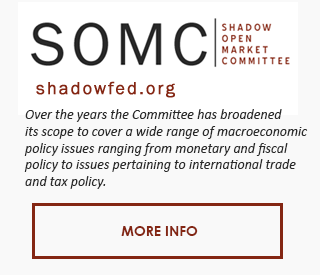 Two consequences are: 1) the shortfall will not go away by itself, and 2) unless current participants contribute to the solution, future generations will face large net income losses through the program. Data from the Social Security trustees’ report makes this clear. As the table shows, the preponderance of Social Security’s total financing imbalance is due to an excess of benefits over contributions for people already in the system. The reason that the 75-year imbalance is so much smaller than the permanent imbalance is not because of an imbalance of payments and collections for people in the distant future, but because during the next 75 years future taxpayers will pay much more in than they take out. Because of this, postponing action and leaving current participants out of the solution would require future workers to lose substantial net income through Social Security – approximately 4% of all future wages, per trustees’ report estimates. Social Security can hardly continue to benefit future generations while imposing such income losses upon them. 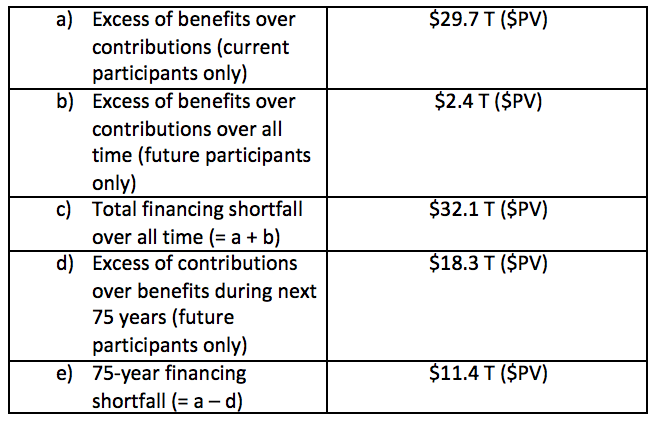 Summarizing: under current projections the combined Social Security trust funds will not be depleted until 2034. But we are already running out of time to take the actions required to permit Social Security to benefit future generations while preserving its historical structure.